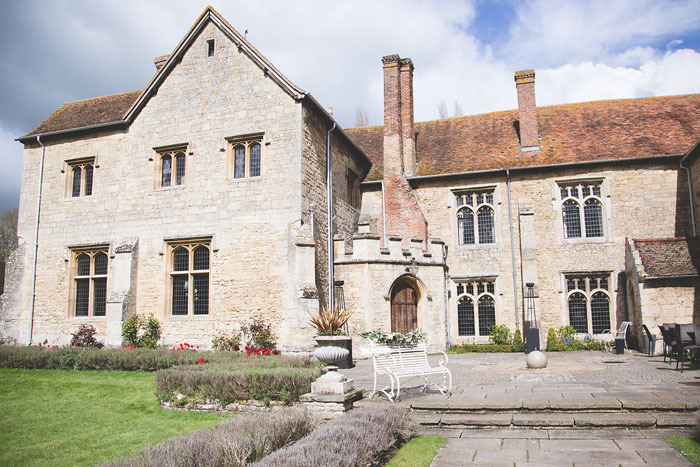 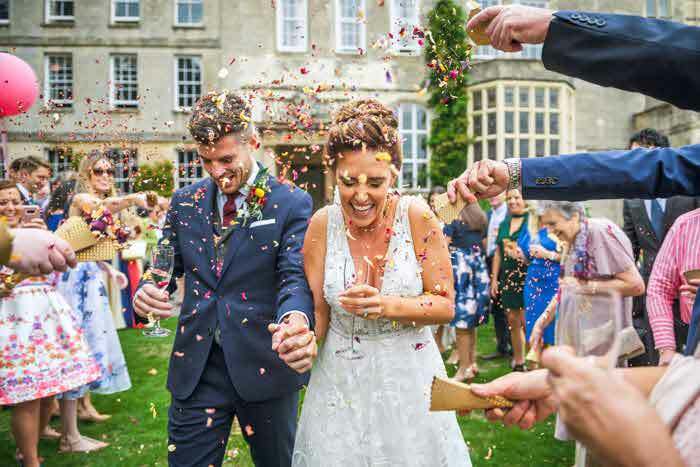 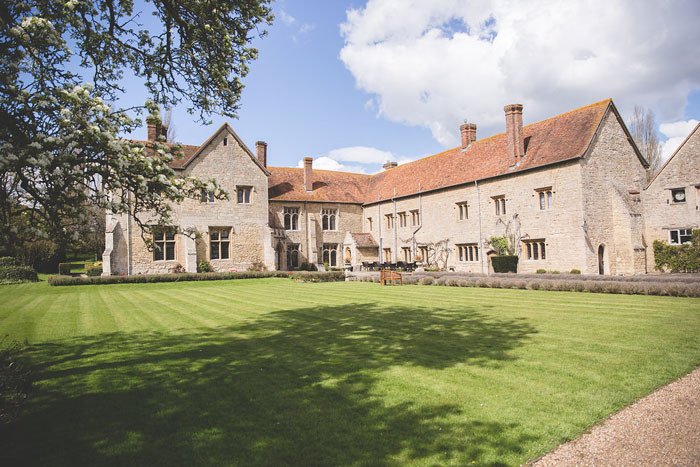 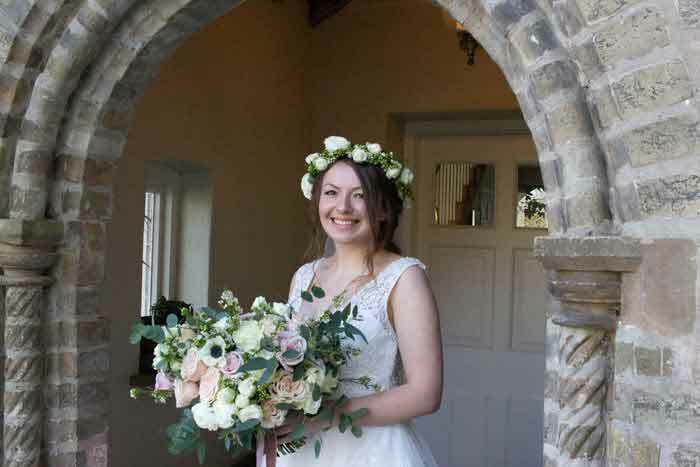 The Bijou Wedding Venues team collaborated with Ambience Venue Styling Buckinghamshire and Laura Anderson Photography to create a stunning styled shoot based around 'Four Seasons' at Notley Abbey. 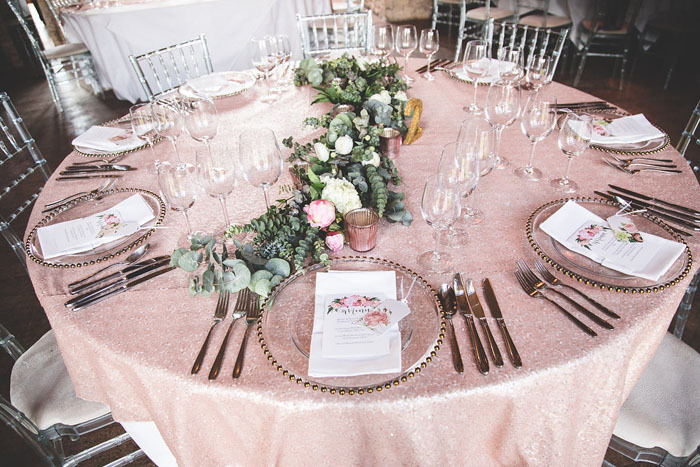 Be inspired by this incredible styled wedding shoot that incorporates ideas and inspiration for a wedding at any time of year. 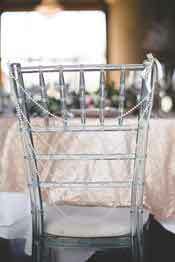 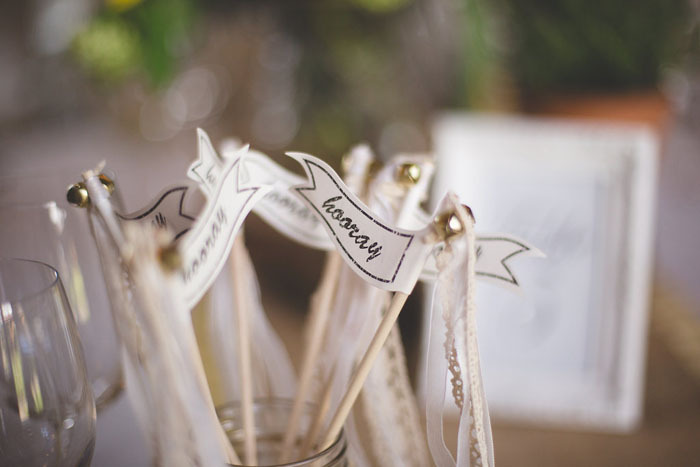 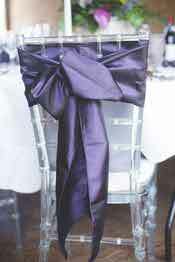 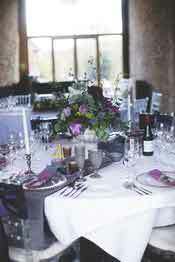 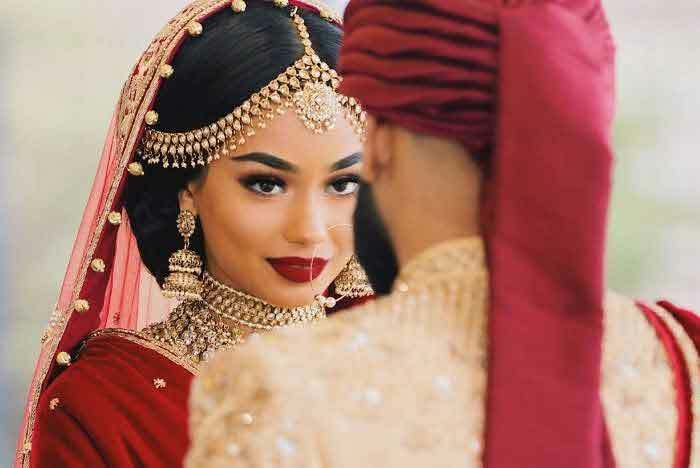 Spring is a time for new beginnings, bright colours, beautiful flowers and potentially the start of your married life. 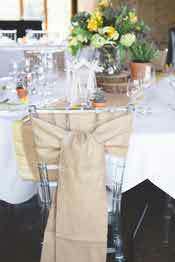 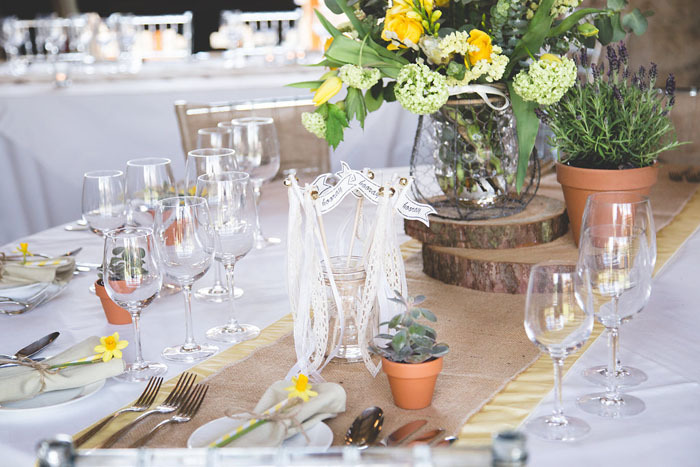 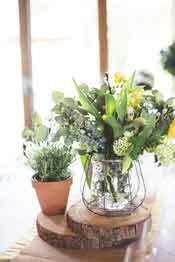 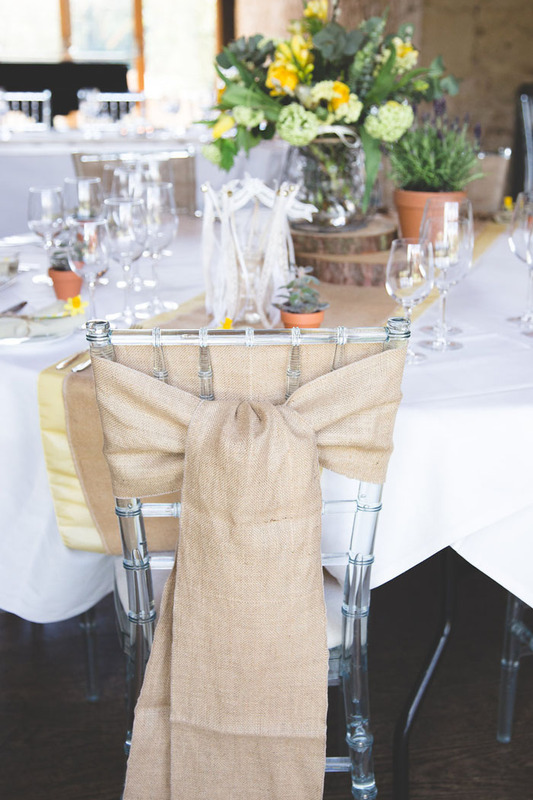 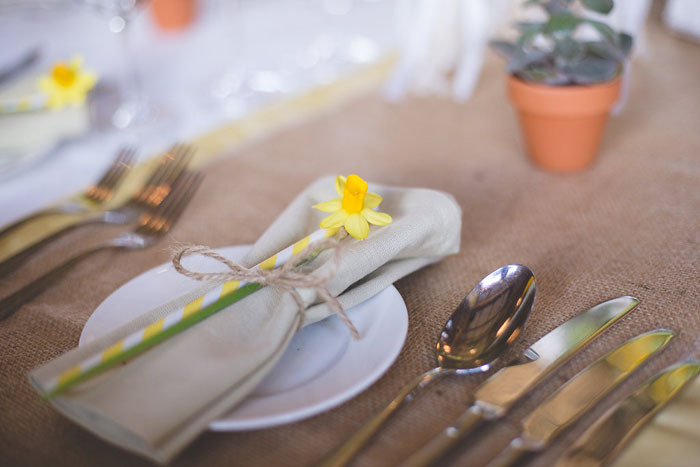 For the spring inspired shoot at Notley Abbey, the team decided to use lemonade inspired accessories, hessian, freshly cut individual daffodils for each place setting and twine to tie it all together. 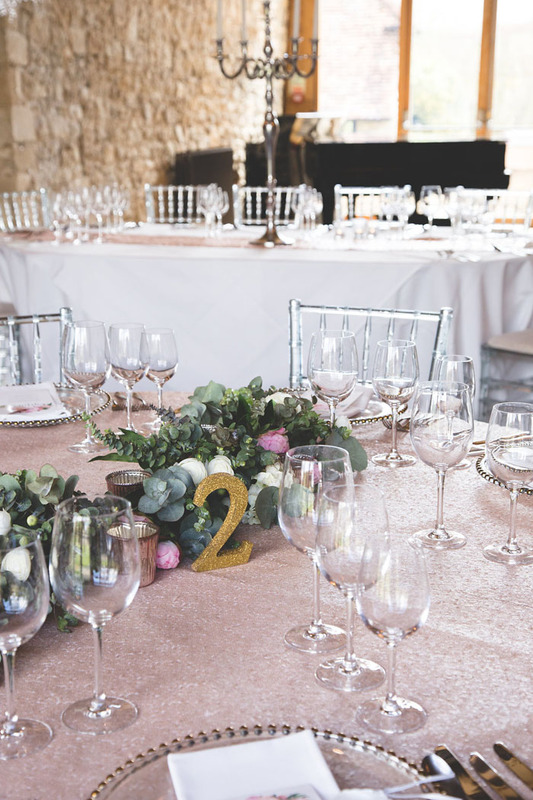 Summer: Rose gold has been a hugely popular colour scheme in recent years and the rustic stone walls in the Monks’ Refectory at Notley Abbey lend themselves to being the perfect backdrop to this light and versatile shade. 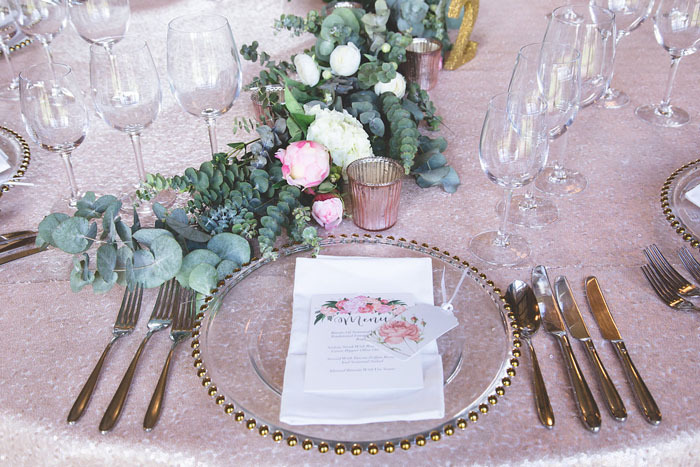 Fresh eucalyptus, gold-trimmed charger plates, floral themed stationery and glittery-gold table numbers made the summer style complete. 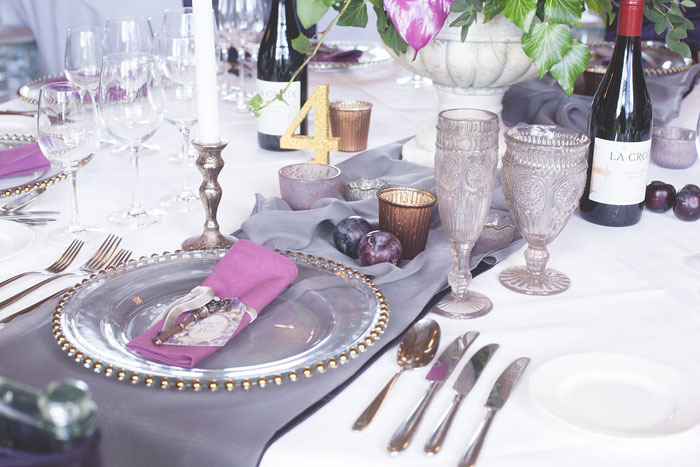 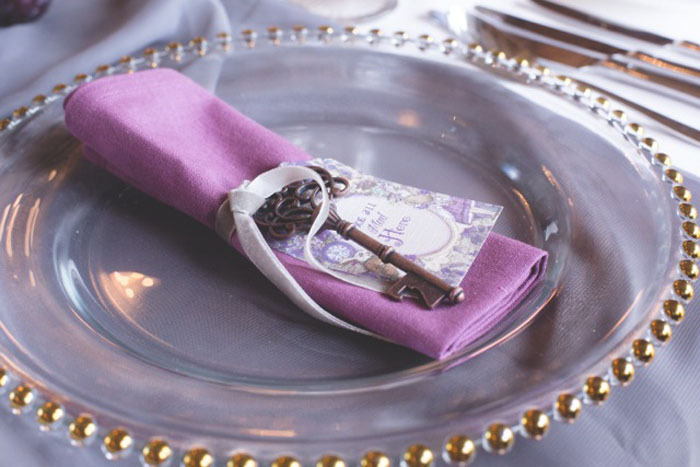 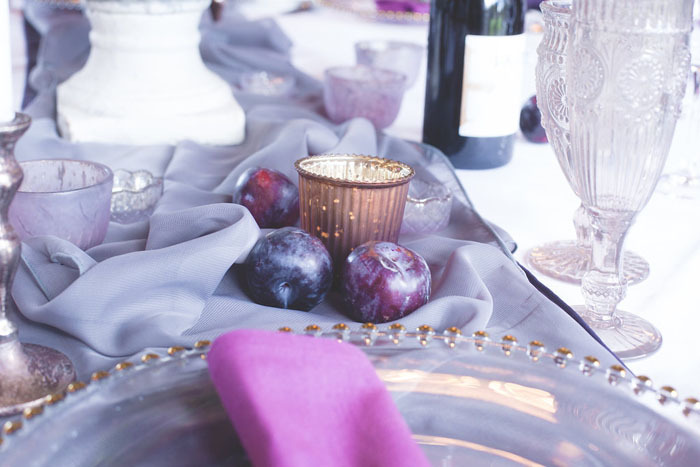 Rich purples, romantic greys and fresh purple plums were the main focus when creating the autumnal wedding theme at Notley Abbey. Large urns with complementary coloured florals, deep purple napkins and quirky place name cards provide perfect inspiration when it comes to styling a wedding during the autumn months. 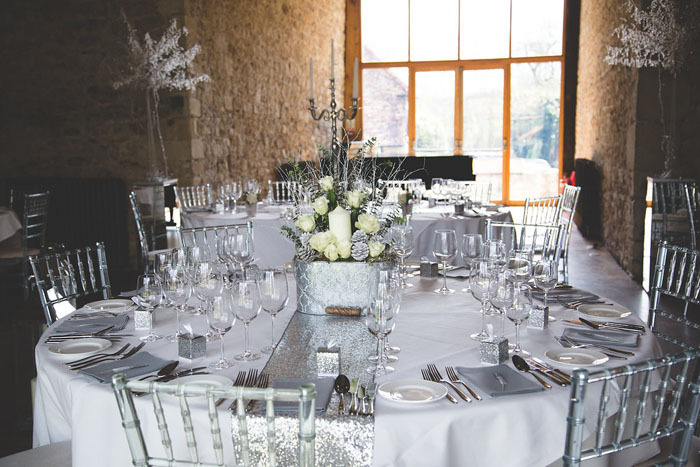 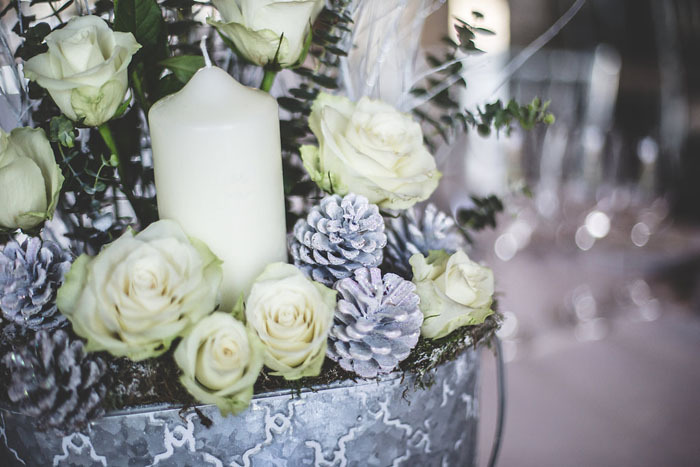 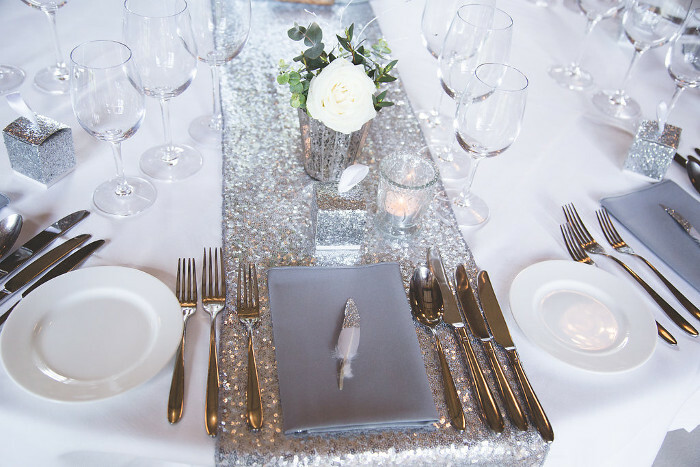 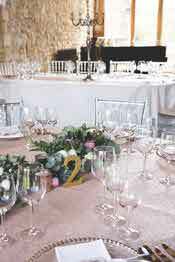 Eye-catching silver sequinned table cloths and glitter-tipped feathers made the winter wedding styled theme at Notley Abbey looked simply incredible. 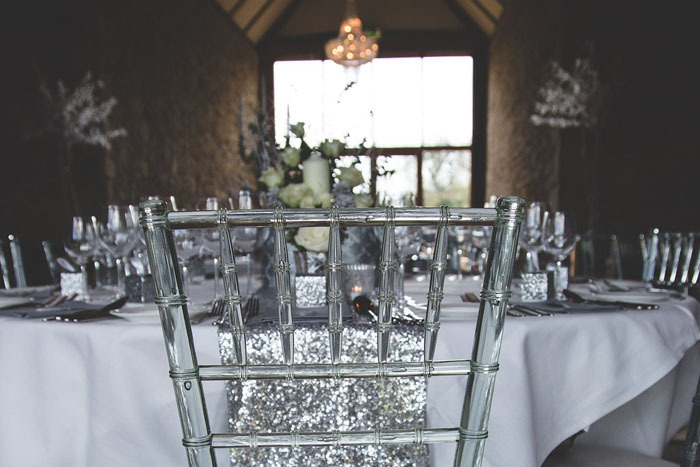 The glamorous chandeliers that hang from the ceilings in The Monks’ Refectory add the perfect touch of sparkle to any winter wedding and the cosy ambience is apparent as soon as you walk through the doors of the main house. 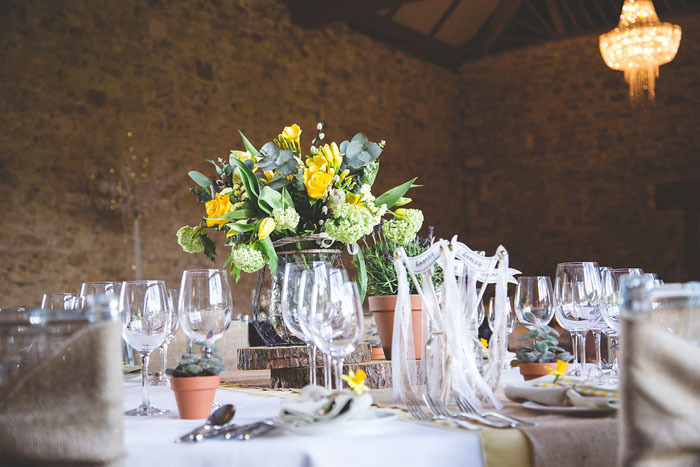 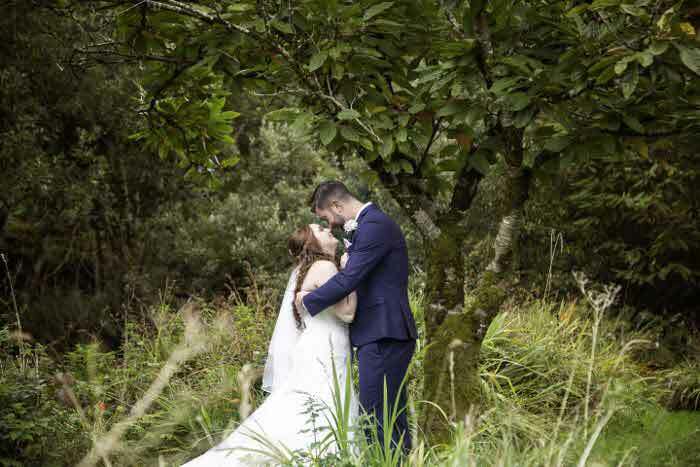 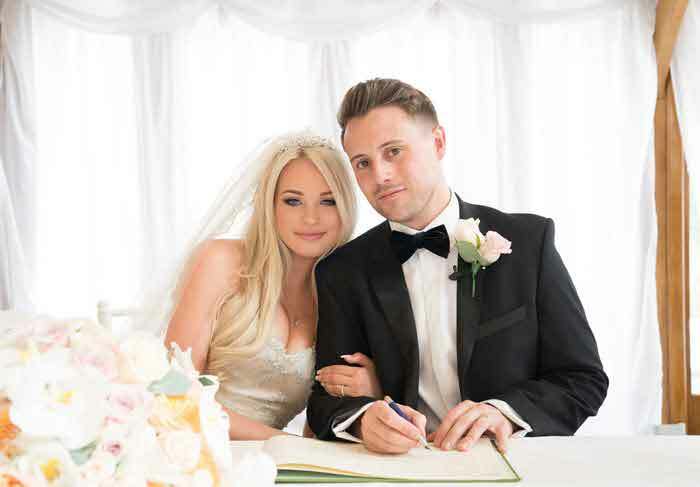 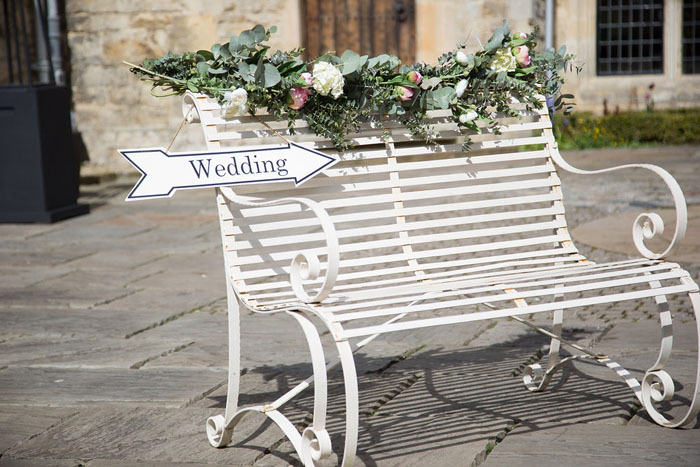 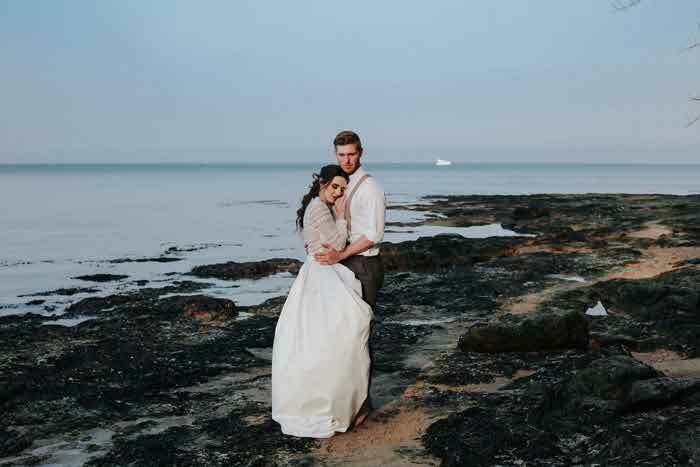 Thank you so much for featuring our styled shoot at Notley Abbey! 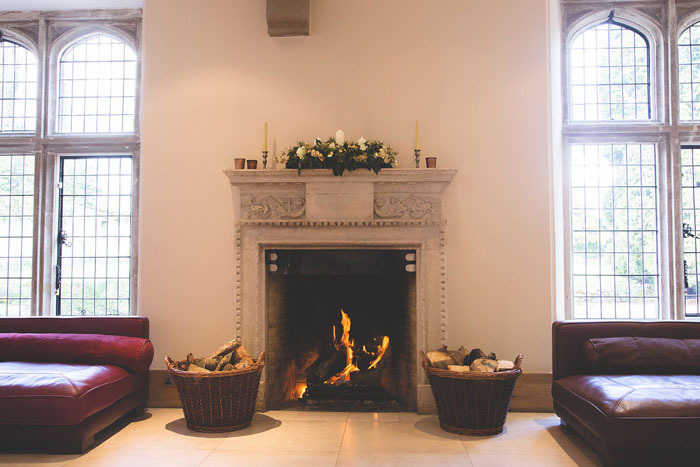 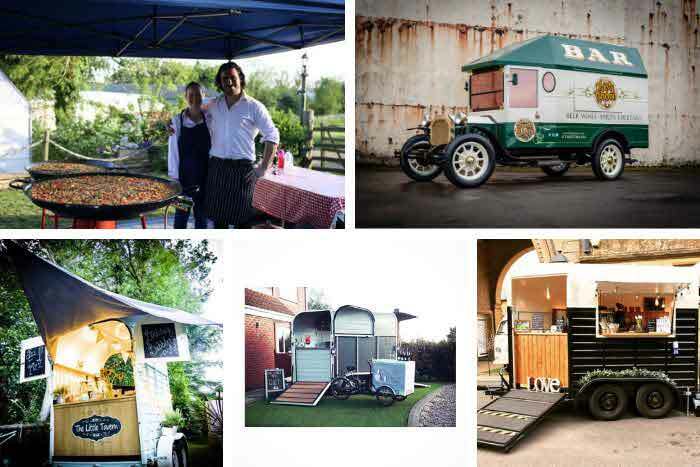 We truly enjoyed transforming The Monks' Refectory into four seasonal styles, all in one day!